Egg buns have achieved cult-like status across America’s West Coast, and now, they have arrived in London. 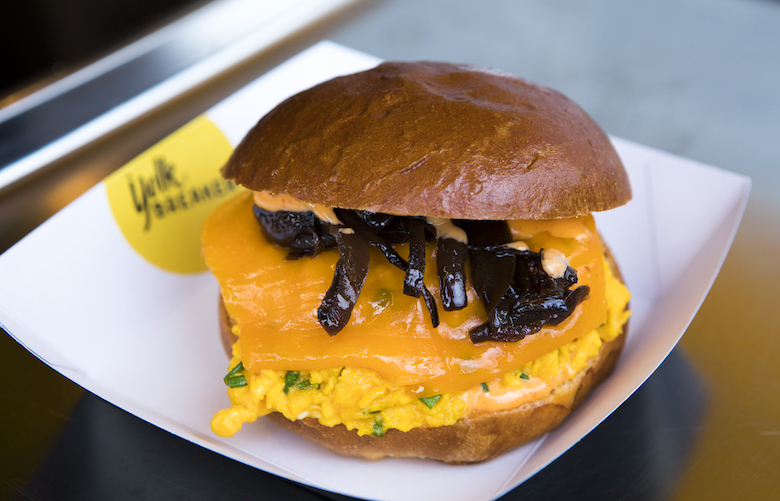 Starting as a pop-up in various markets across London, Yolk Breaker has officially opened their permanent base at Stables Market. The signature sandwich is a rite of passage – sourced from St Ewe Eggs in Cornwall, and assembled through breakfast wizardry.